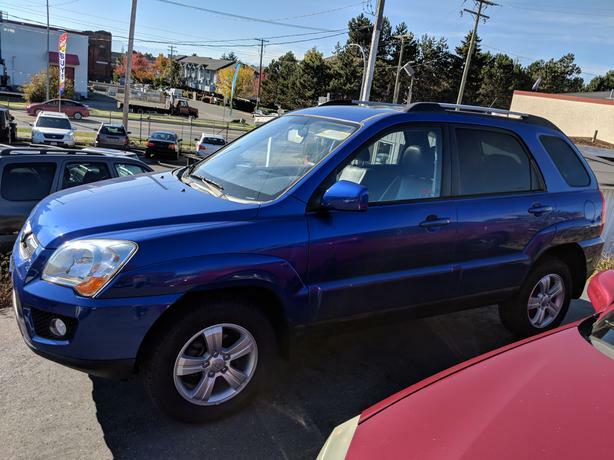  Log In needed $7,995 · 2010 Kia Sportage EX 4WD "Loaded"
The 2010 Sportage has a comfortable ride and decent handling. The interior is roomy and features high-quality materials, reviewers liked the seat comfort in both the front and back and noted the ample leg- and headroom. The Sportage has the ability to seat five and reviewers liked that the rear seats easily fold flat to create more cargo room. Fully Detailed, 105 Point Mechanical inspection and Carproof report included, extended service plan warranty available for up to 3 years 40,000k. $195 documentation fee and taxes extra.